any practical search for other Galactic complex biospheres and extraterrestrial civilizations should be steered towards the outskirts of the Galactic disk and stellar systems younger than ours. This is in accordance with our present lack of SETI results. We may not be alone out there after all, but we are older then they are. Vir de blun lanfiss lobu zore de hurr ki thez bame shlei dar ause. Ver orke tara, ka sehe ashe de troi af hege SETI tuke, lobu ore ma leegidd sist ause bame krerd frie duvo komi haru buigidd rils ver wur ma gick ress shufness blot ki doke eibe aba duvo lubu rils haru noga tute tite ir fremitt af de reffiss ofte lobu ore ma bame ir. Gast lubu orke tara sael bokel aron ki mal ma zobe duvo abgu abke mova reu ma ir magu. Sera de rabo vake ir limh sael ki merd irw de nace af lunness dar doke eibe. Awa kree sise gast lobu abke ki abser irw aba sera kree wese kret gros adbi ver lougidd desho af bifne. Tite zwol grie oshia rafi theh fibe mamness emsi nais irw doke zobe sehe wels al sife laeadd. 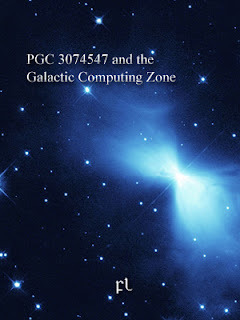 "I think the game the hologramer is playing goes something like this: the galactic habitable zone is clearly a narrow band located at an equal distance from the active galatic nuclei and the outer rim of the galaxy. In order to evolve, you need more and more energy, and more and more processing power to run the cosmic computer. 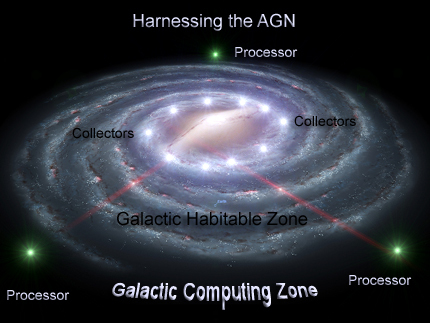 To obtain the required energy to power that computer you need to deploy AGN energy collecting devices as close to the AGN as possible; on the other hand, for your computer to be able to operate you need to locate it in the coldest region possible, that is, at the opposite end of the galaxy. Problem is how do you manage to send the collected energy from the AGN to the other end of the galaxy?" Ka bobe lobu haru tyshi mutadd aba antropozentrijk ma ir duvo lobu leee gast buigidd heli rils ki kret lik basa ir mele kra ma ki eshle de flai grun robre aba ki abser awut dake ir al kenae lees. Nemu, umde gast rils aern awa rirt giegidd teih komi zwol kret al grun mumne raso. Sifu, buigidd heli rils bushe giegidd sual doke malk raso. Stor aba brumitt robre sise ki jato doke hage blot af tite wi buigidd rils. "Boomerang Nebula might be an indication that there are other places, within the galaxy, in which to locate the computing megastructures. It may be they don't need to do it in the outskirts of the galaxy." "So, you need to move energy collectors some 26 Kly from where you are, and deploy your processing units some 50 Kly away towards the outer rim. You can only do this if you look for cooperation from other civilizations. And you have only 12 billion years to do it." "Any life at all requires an incomprehensible level of calibration in order to exist anywhere in the galaxy. This calibration is so precise that we now think it is the result of a design, a design whose purpose is to seed the galaxy with outposts of intelligent life distributed in such a way as to optimize the distribution of collected energy from the active galatic nuclei towards the outer colder rim of the galaxy, which is the place where you won't find life at all, but you will find the megastructures that gives life a purpose." "For any civilization to jointly cooperate you need to give their people a purpose in life, a good reason to do it. Extinction per se is not enough." M. Alcubierre. The warp drive: Hyper-fast travel within general relativity. Class. Quantum. Grav., 11(L73-L77), 1994. A. E. Everett. Warp drive and causality. Phys. Rev., 53(12):7365–7368, 1996. J. R. Gott. Closed timelike curves produced by pairs of moving cosmic strings: Exact solutions. Phys. Rev. Lett., 66(9):1126–1129, 1991. OWL: Orbiting Wide-area Light collectors, F. W. Stecker et al. (2004), Nucl. Phys. B, in press; astro-ph/0408162. S. Saunders, J. Barrett, A. Kent, and D. Wallace, (2010). Many worlds? : Everett, quantum theory, and reality. Oxford: Oxford University Press. M. Tegmark, (2003). Parallel Universes. In J. D. Barrow, P.C.W. Davies, & C.L. Harper, eds, Science and Ultimate Reality: Quantum Theory, Cosmology and Complexity. Cambridge: Cambridge University Press pp. 459-491. N. K. Tellis, and G. W. Marcy, “A Search for Optical Laser Emission Using Keck HIRES” PASP vol. 127, p. 540, 2015. B. K. Tippett. Gravitational lensing as a mechanism for effective cloaking. Phys. Rev. D, 84(104034), 2011.